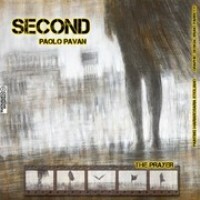 Beautifully endearing, Second is a record that soars with skillful piano work from Italian pianist, Paolo Pavan. Born in Rome in 1970, he grew up studying music and has been taken under the tutelage of teachers like Stefano Sabatini and Riccardo Biseo. He has a degree in piano as well as classical studies. Thanks to this early exposure, the artist has released several compilations containing his original compositions. Second, is the latest in his catalogue and proves to be a soothing, reverie-filled piano piece. The entire record is instrumental and features the artists mastery at his chosen instrument, the piano. Although the album only contains 5 tracks, you easily capture the emotion that the artist extends. Starting the compilation is the original version of title-track, Second. It’s a piece that oozes gorgeous melody; like a gently bobbing wave that rocks a boat slowly. The song is hypnotizing and features swells at the right moments. It’s a great opener. On the other hand, Fado, is a darker and moodier track that begins with a soft touch while building up to a louder ending. Closing single, The Beginning, finishes the album in the same vein it started; with sweeping melodic piano work that will help lighten your day. Overall, this is a soothing record you can put on if you want something relaxing to the soundtrack to your day. Grab the download, it’s available for free.